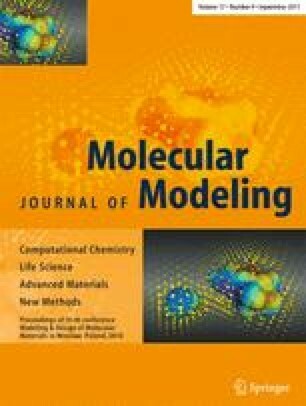 The analysis of biochemical processes is one of the main challenges for modern computational chemistry. Probably the biggest issue facing scientists in this case is the number of factors that have to be taken into account, as even those factors that do not seem to be meaningful may eventually be crucial. Such a belief led to the investigation on the substituent effects during squalene cyclization process. We focused on the formation of lanosterol ring A through squalene epoxide and an analogue process observed in bacteria, leading to the hopene formation without an intermediate oxide. Interestingly, our results indicate that, opposite of chemical intuition, a more substituted chain is more likely to adopt a conformation suitable for the cyclization process. Presumably the rational for this behavior is the presence of intermolecular CH⋅⋅⋅π interactions between the hydrogen atoms from methyl groups and the squalene π bonds in the open-chain structure. The effect seems to have a firm impact on the hopene formation process. Calculations were performed using two different methods: MP2 and M06-2X, combined with the cc-pVDZ basis set. The online version of this article (doi: 10.1007/s00894-011-1103-7) contains supplementary material, which is available to authorized users. MH thanks the Foundation for Polish Science for support via FOCUS program. MN thanks for the support via InterMolMed project (contract number POIG.01.01.02-10-107/09). Calculations were made possible thanks to the PL-Grid project, contract number: POIG.02.03.00-00-007/08-00, website: www.plgrid.pl. The project is co-funded by the European Regional Development Fund as part of the Innovative Economy Program.